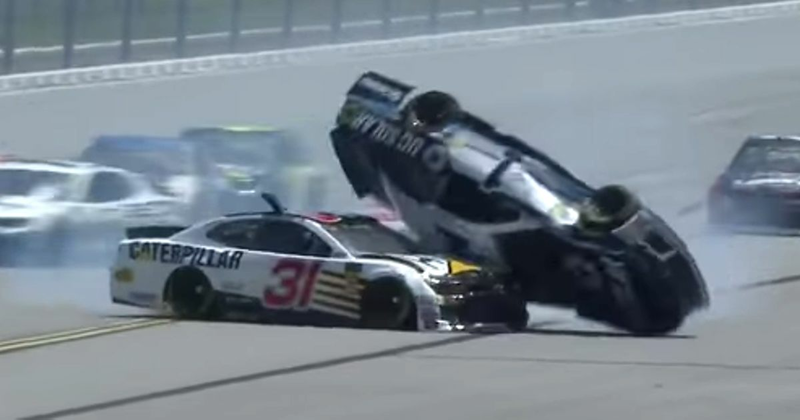 McMurray was only a few laps into a practice stint when he suffered a tyre blowout, pitching his No.1 Chevrolet sideways and across the front of Ryan Newman in the No.31 Chevrolet. Stock cars have all sort of systems in place to try and prevent out-of-control cars from flipping over (such as those pop-up roof flaps) but the contact with Newman’s car sent McMurray into the air and rolling down the track, even bouncing off of the fence at one point. McMurray was absolutely fine and unsurprisingly said he “just wanted it to stop”. The car, however, was wrecked and he had to do the race in the spare. Speaking of the race, ‘The Big One’ came with 23 laps to go, involving 14 cars and putting seven drivers out on the spot. Joey Logano took the victory, guaranteeing him a space in the championships ‘playoffs’ towards the end of the season.